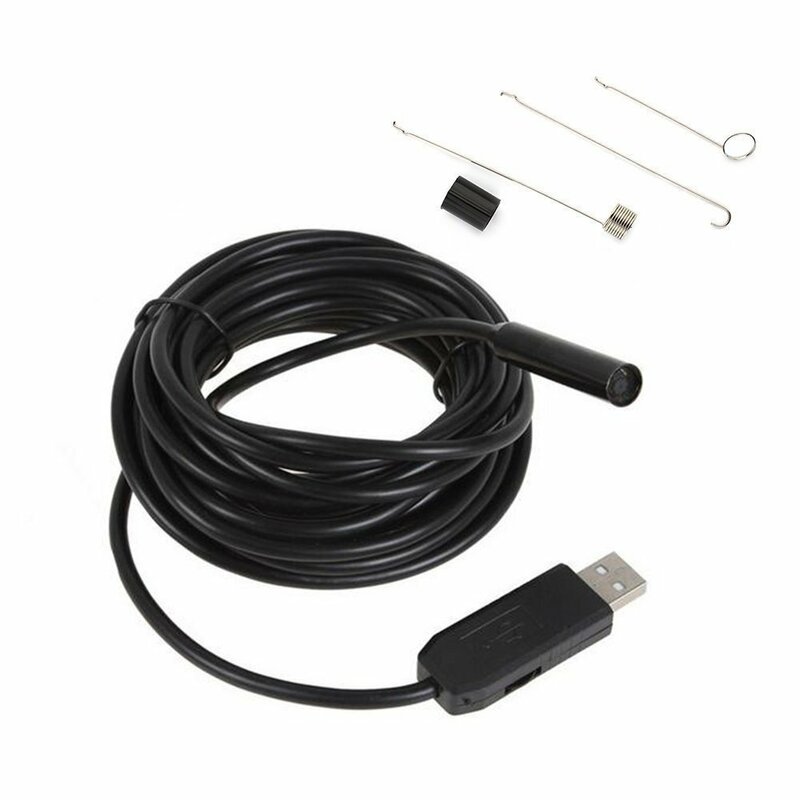 Home › School and Office › Usb Borescope Vastar 2.0 Megapixel Cmos Hd Usb Endoscope Waterproof Handheld ..
Usb Borescope Vastar 2.0 Megapixel Cmos Hd Usb Endoscope Waterproof Handheld ..
Whoever got the code, please make the purchase asap, or the items will run out of stock. 2.0 Megapixel Waterproof Camera: This endoscope is attached to a 16.4 ft cable and has a USB plug on the end. The length of the cable creates the capability to access many hidden or hard to reach locations so the back and interior of a variety of things may be easily viewed. For capturing images from the endoscope, you can just install the software, included with purchase, capture videos and still photographs. You can capture images(JPG) or videos on your computer with up to 1600*1200 Resolutions. 2MP 6 LED Lights: adjustable lights improve visibility in low-light environment and allow you to work better. Equipped with useful small tools?1 Holder, 1 Mirror and 1 Hook. The endoscope has a 0.33inch (8.5mm) diameter snake camera with 6 adjustableLED lights, high performance camera offering crystal clear output. With thewaterproof design, you can inspect area under water,gaps and holes. Features: Diameter: 8.5mm Sensor: 2.0 Megapixel CMOS Resolution? 1024768,1280720 for HD model view angle?60 Focal Distance?6cm --infinite Interface: USB2.0 UVC Light: 6 Adjustable White LED PC Software: Smart Camera Package included: 1 x Vastar USB Borescope; 1 x English Manual ; 1 x CD Driver ; 1 x Holder ; 1 x Mirror ; 1 x Hook Warranty: 45 days money-back & 18-month warranty. Any questions you have, please don'thesitate to contact us. We will get you back within 24hours.